There are currently 3,346 users on this website. Galeoptix: The teeth are not equal to pins in this case but pins are equal to holes. The length used encompasses all of the holes between the (tooth) left of the left most hole and the (tooth) right of the right most hole. If I was measuring from middle hole to middle hole, I know that the first and last holes would each count as a half hole. However, I am trying to determine a perforating bar (equipment) measurement here rather than only just a stamp perforation gauge reading. From my own perforation gauging of this line, I have found it to be around 12.6 whereas the catalogues have it as 12.5 (12 1/2). so if "The length used encompasses all of the holes between the (tooth) left of the left most hole and the (tooth) right of the right most hole." then you have counted 2 half-holes too many!??!?! Note the vertical printing plate line on the leftmost part of the sheet and the vertical wavy cutting line on the leftmost and rightmost part of the sheet, the vertical gum breakers across all the sheet, the short vertical running perforations in the selvage margins, the short gum coverage in the selvage margins which are all typical of Stickney rotary press printed stamps. Also, since it is ten stamps across in the same direction of both the gum breakers and the short running perforations, a small Stickney press was used. I am trying to measure the perforating bar perforations on early Stickney press printed Czechoslovakia stamps (1925-1935). This would represent the limiting size side or shortest side since the perforations do not go all the way across the selvage margins but stop there. I got 128 holes in a 10.25" length which is 128/10.25/1.27 = 9.83 perforations per 2 cm and 1/(128/10.25) = 0.080" between holes. This appears to be the same gauge as for U.S. Stickney press coils. The stamp catalogues have this as perforation 10 or 9 3/4 gauge. jogil - Thanks for pointing out on http://goscf.com/t/36707&whichpage=4#536511 that the sheet of stamps was printed on a small Stickney press. As there were only two such printing plates of 200 (20 x 10) small stamp subjects on either of our Stickney presses, I have to correct my post on http://goscf.com/t/36707&whichpage=3#536204 , where I wrongly inferred that both Stickney presses used in Czechoslovakia were large machines. Czechoslovakia appears to be the country that has printed the most Stickney rotary press stamps from 1925 to 1959 after the United States. 105/199, 105/200, 106/201, 109/212, 110/214, 111/215, 114/210, 115/211, 116/204, 117/205, 118/213, 126/217, 127/218, 128/206, 129/207, 130/203, 131/208, 132/219, 133/220, 134/221, 135/222, 136/224, 152/248, 153/249, 154/250, 155/251, 156/252, 157/253, 164/223, 168/258, 169/259, 170/260, 184/265, 185/266, 186/267, 187/268, 188/269, 189/270, 190/271, 191/272, 192/273, 193/274, 194/275, 195/276, 196/277, 197/278, 198/279, 199/280, 200/281, 201/282, 202/285, 203/286, 204/287, 205/288, 206/289, 207/290, 208/291, 209/292, 210/293, 211/294. Coil stamps line-perforated gauge 9 3/4 vertically: 123/209A, 124/210A, 125/---?, 141/216, 158/250A, 171/260A. 212/303, 213/298, 214/299, 215/300, 216/301, 217/302, 218/304, 219/305, 220/307, 221/308, 222/309, 223/310, 224/311, 225/312, 226/313, 227/314, 228/318, 229/319, 230/320, 231/321, 232/322, 233/323, 234/324, 235/325, 236/326, 237/327, 238/328, 240/306, 241/331, 242/332, 243/336, 244/337, 245/338, 246/339, 247/340, 248/341, 249/344, 250/345, 252/346, 253/348, 254/349, 254A/350, 254B/351, 255/O351, 256/352, 259/376, 259A/377, 260/378, 261/379, 262/380, 293/413, 294/415, 295/418, 295A/419, 296/421, 297/422, 297A/423, 298/424, 299/425, 300/426, 300A/428, 305/431, 306/432, 315/436, 316/438, 317/439, 318/443, 319/444, 320/445, 321/446, 322/447, 323/448, 324/449, 325/417, 326/450, 327/451, 328/452, 329/453, 330/454, 331/455, 332/456, 333/457, 334/458, 335/459, 336/460, 337/461, 343/467, 344/468, 345/469, 346/470, 347/471, 348/472, 349/473, 351/475, 352/476, 353/477, 354/478, 355/479, 356/480, 357/481, 358/482, 359/483, 360/484, 361/490, 362/491, 363/485, 364/486, 364a/487, 365/488, 366/489, 369/493, 370/498, 371/499, 373/501, 378/506, 379/507, 380/508, 381/509, 382/510, 383/511, 384/512, 385/513, 386/514, 387/515, 388/516, 389/517, 390/518, 391/519, 392/520, 393/521, 394/522, 395/523, 396/524, 397/525, 398/526, 399/531, 400/532, 401/533, 403/535, 404/536, 405/537, 406/538, 407/539, 408/540, 409/541, 410/542, 411/543, 412/544, 413/545, 414/546, 415/547, 416/548, 417/549, 418/550, 419/551, 420/552, 421/553, 422/556, 423/557, 424/554, 425/555, 430/565, 431/566, 432/567, 433/568, 434/562, 435/563, 436/569, 437/570, 440/573, 442/575, 443/576, 444/577, 448/581, 449/582, 452/585, 453/586, 454/587, 455/588, 456/589, 457/590, 458/591, 459/592, 460/593, 463/596, 464/597, 465/598, 466/599, 467/600, 468/601, 469/602, 470/603, 471/604, 472/605, 473/608, 474/611, 477/606, 478/607, 479/612, 480/613, 481/614, 483/616, 484/617, 485/618, 487/620, 489/622, 491/623, 492/624, 497/629, 498/630, 507/640, 508/641, 509/642, 510/643, 511/636, 512/646, 513/647, 523/655, 524/656, 525/657, 526/658, 527/659, 528/660, 532/664, 533/665, 534/667, 535/668, 536/669, 537/670, 538/671, 539/672, 544/677, 545/678, 548/683, 551/686, 557/693, 558/694, 559/695, 564/666, 600/732, 602/734, 607/743, 608/744, 618/741, 645/775, 646/776, 647/777, 648/778, 649/779, 650/780, 651/781, 652/782, 653/783, 780/---?, 870/999, 870A/1091, 871/1000. B144/295, B145/296, B146/297, B147/315, B148/316, B149/317, B150/333, B151/334, B154/429, B155/430, B156/433, B157/434, B163/494, B164/495, B165/496, B166/529, B167/530, B168/527, B169/528. C19/L17, C20/L18, C21/L19, C22/L20, C23/L21, C24/L22, C25/L23, C26/L16, C27/L24, C28/L25, C29/L26, C30/L27, C31/L28, C32/L29, C33/L30, C34/L31, C35/L32. J82/DL79, J83/DL80, J84/DL81, J85/DL82, J86/DL83, J87/DL84, J88/DL85, J89/DL86, J90/DL87, J91/DL88, J92/DL89, J93/DL90, J94/DL91. 1/1, 2/2, 3/3, 4/4, 5/5, 6/6, 7/7, 8/8, 9/9, 10/10, 11/11, 12/12, 13/13, 14/14, 15/15, 16/16, 17/17, 18/18, 19/19, 27/28, 28/29, 29/30, 30/31, 31/32, 32/33, 33/34, 34/35, 35/36, 36/37, 37/38, 38/39, 39/40, 40/41, 41/42, 42/43, 43/44, 44/45, 45/46, 46/47, 47/48, 48/49, 49/54, 50/55, 51/56, 52/57, 53/58, 53A/59, 53B/60, 53C/61, 54/62, 55/63, 60/72, 61/73, 68/84, 69/85, 70/86, 71/87, 72/88, 73/89, 74/90, 75/91, 76/92, 77/93, 78/94, 79/95, 80/96, 81/97, 82/98, 83/99, 88/120, 89/121, 90/122. B9/74, B10/75, B11/76, B12/77, B18/106, B19/107, B27/118, B28/119. 2/2, 3/3, 4/4, 5/5, 6/6, 7/7, 8/8, 9/9, 10/10, 11/11, 12/12, 13/13, 14/14, 15/15, 16/16, 17/17, 18/18, 19/19, 20/20, 21/21, 22/22, 23/23. 298/447A, 299/447B, 300/448, 304/449, 305/450, 309/388, 310/451, 311/452, 312/573, 313/453, 314/454, 315/455, 395/391, 396/392, 397/393, 398/394, 399/395, 400/396, 401/397, 402/398, 403/399, 404/400, 425/421, 448/444, 449/445, 450/446, 459/464, 477/482, 478/484, 479/483, 480/485, 481/486, 482/487, 483/488, 484/489, 491/496, 492/499, 493/497, 494/498, 503/508, 504/509, 505/510, 507/512, 512/517, 513/518, 514/519, 517/---?, 521/525, 522/526, 523/552, 537/540A, 538/541A, 544/547, 545/548A, 546/549A, 547/550A, 548/551, 554/558, 555/559, 556/561, 557/560, 565/569, 569/574, 570/575, 571/576, 577/582, 578/583, 586/591, 589/594, 590/602, 591/601, 592/603, 602/607, 614/619, 615/620, 622/627, 623/628, 624/632, 625/630, 626/631, 627/629, 632/637, 633/638, 639/639, 640/640, 641/641, 642/647, 643/648, 644/649, 645/650, 677/684, 678/682, 679/683, 680/685, 681/686, 682/687, 688/693, 689/694, 709/715, 710/716, 711/714, 719/724, 720/726, 721/725, 726/731, 739/744, 740/745, 741/746, 742/747, 759/764, 760/765, 761/766, 762/767. Some more to add the the list: Belgian Congo Scott # 139-156, B12-B20 There are probably more that can be added. This takes this list back to Belgium. There appears to be gaps in the listing since a Stickney press was first obtained in 1927 by Belgium's Stamp Printing Works in Mechelen/Malines. So far have found only Scott # 294-303, 305, 316-317 Are there any others? A Stickney press was used to print�Belgium�stamps from 1927 to 1950 by The Stamp Printing Works, Mechelen/Malines. Some sheet stamps perforated gauge 11 x 11.5: CB1-CB2. Some sheet stamps perforated gauge 11.5: 218-220, 222-224, 251-253, 305, 379, 381-385, 400, B64, B67, B71-B75, B80-B82, B93-B97, B118-B122, B220, B426-B431, B432-B436, B437-B441, B442-B446, B465-B466, B472-B476, B479, C8-C11, C12, CB3, O44-O46, Q176-Q179, Q180, Q266, CB13. 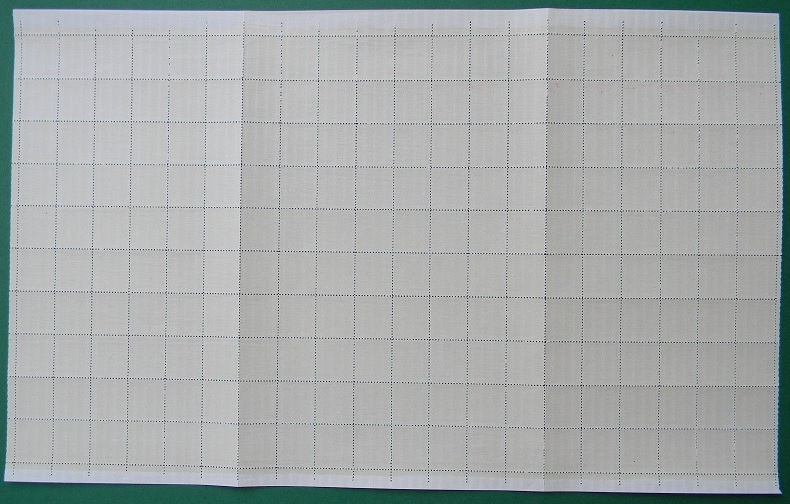 Some sheet stamps perforated gauge 13.5 x 14: B83, B156-B162, B477-B478, B482, Q193-Q207, Q211-Q215. Some sheet stamps perforated gauge 14 x 13.5: 229-236, 294-303, 316-317, 386-389, B107-B113, B123-B124, B144-B150, B260-B263, B480-B481, B483-B484, O32, Q184-Q192, Q263-Q265. Some sheet stamps perforated gauge 14: B65, B66, B68, B76-B77, B98, B101-B105, B323-B326, B327. Belgian Congo sheet and booklet stamps perforated 11.5: 139-156, B12-B20. Sheet and booklet stamps perforated 13.5 x 14: C7-C17. 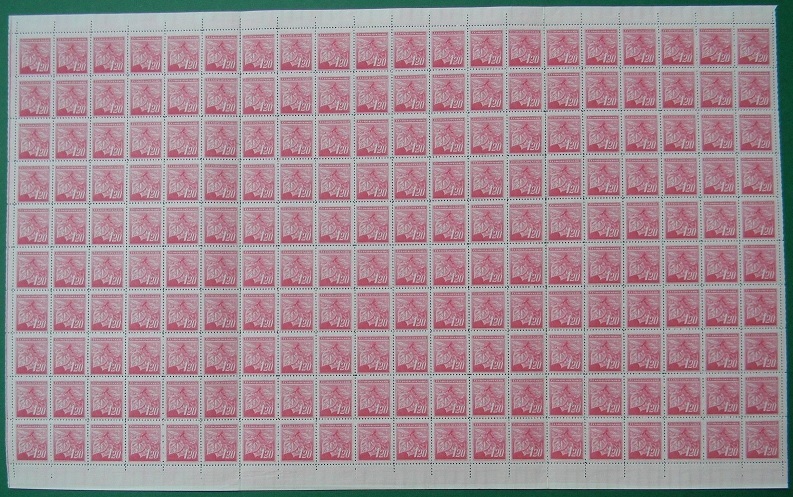 Sheet stamps perforated 14: 115-135. Ruanda-Urundi sheet stamps perforated 11.5: 37-54, 56-59.